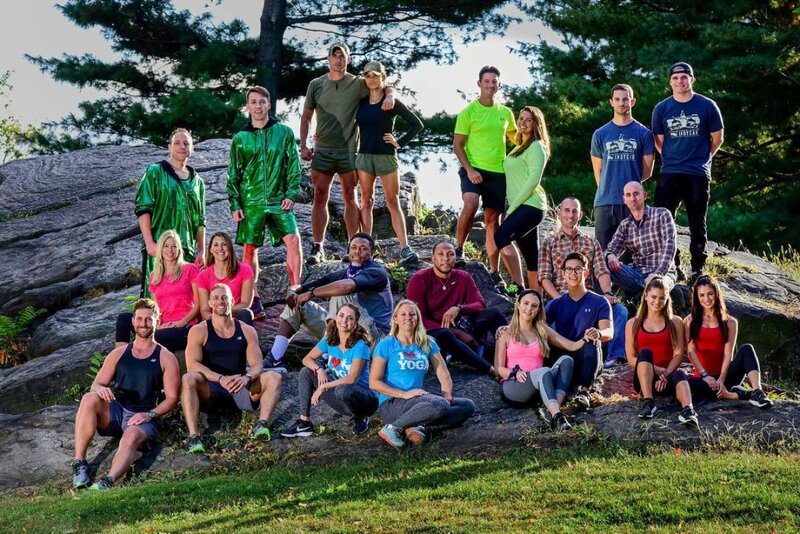 The Amazing Race cast of 11 teams has been unveiled by CBS. The network has revealed the identities of the 22 Racers who will be racing around the world in pairs for $1 million when Season 30 premieres in its new date and time of Wednesday, January 3, 2018 at 8PM ET/PT. The teams, who each have a pre-existing relationship, will include Big Brother's Season 19 power couple Cody Nickson and Jessica Graf, as previously revealed. CBS has announced teams will also include IndyCar drivers Alexander Rossi and Conor Daly, retired NBA All-Stars Cedric Ceballos and Shawn Marion, X-Games champions Kristi Leskinen and Jen Hudak, nationally-ranked debaters Henry Zhang and Evan Lynyak, and competitive eaters Joey Chestnut and Tim Janus. "This edition boasts some of the most competitive and accomplished teams to ever take on the Race," the network teased. The 11 teams will begin the race in Washington Square Park in New York City and immediately travel to their first destination, Iceland, where they must traverse a large canyon high above the Geitargljufur River. The Race's 30th season will cover 10 countries, 21 cities and over 29,000 miles, as teams compete to win the $1 million grand prize. Phil Keoghan is reprising his role as host. For more information on The Amazing Race's broadcast schedule, click here. Cedric is 48 years old, and Shawn is a 39-year-old from Chicago, IL. April is from Gilbert, AZ, and Sarah is from Mesa, AZ. They are both 39-year-old goat yoga instructors. Cody is a 32-year-old from Plano, TX. Jessica is a 26-year-old from Los Angeles, CA. They found love on Season 19 of Big Brother. Henry is the former president of the Yale debate team. Evan Lynyak was the top-ranking female debater in the world in 2016. They are both 22 years old and from Los Angeles, CA. Trevor is 30-years-old, and Chris is 33-years-old. They are both billboard chart-topping musicians in the string quartet Well Strung from New York, NY. Alexander is the 26-year-old Indianapolis 500 winner of 2016. Conor is a 25-year-old who placed second in the Detroit Grand Prix. They are both from Indianapolis, IN. Dessie is a 27-year-old from Apollo, PA. Kayla is a 26-year-old from Clermont, FL. They are both ring girls and Instagram models. Joey is a 33-year-old world champion competitive eater from San Jose, CA. Tim is a 41-year-old former competitive eater from New York, NY. Kristi is a 36-year-old from Scottsdale, AZ. Jen is a 30-year-old from Park City, UT. They have both claimed multiple championship titles in professional skiing. Lucas is a 35-year-old lifeguard lieutenant. Brittany is a 31-year-old ocean rescue lifeguard. They are both from Miami Springs, FL. Eric is from Ponchatoula, LA. Daniel is from Gonzales, LA. They are both 33-year-old firefighters.